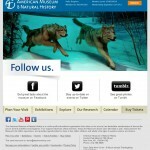 The American Museum of Natural History has a great email marketing program. From effectively using dynamic content, to crafting personalized messages to their subscribers, their marketing staff definitely understands email. Certainly of a higher quality than most of the non-profits I’ve experienced. 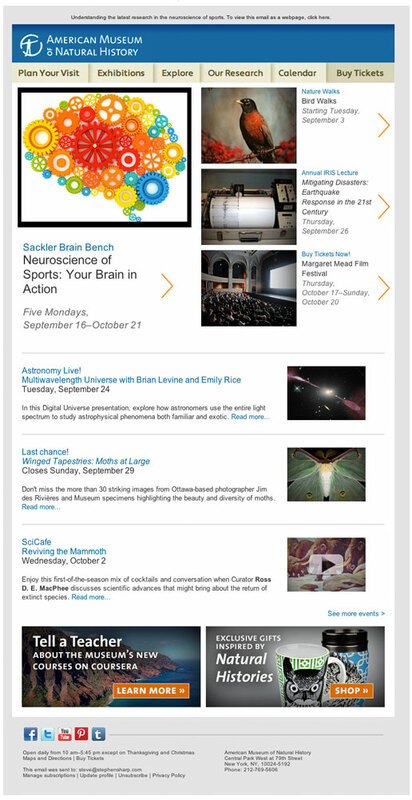 To augment this program, the American Museum of Natural History email team contracted me to design a suite of responsive email templates. 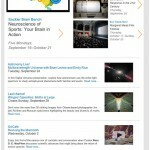 Included in this collection were newsletters, welcome series, one-off/postcard templates and retail email templates. 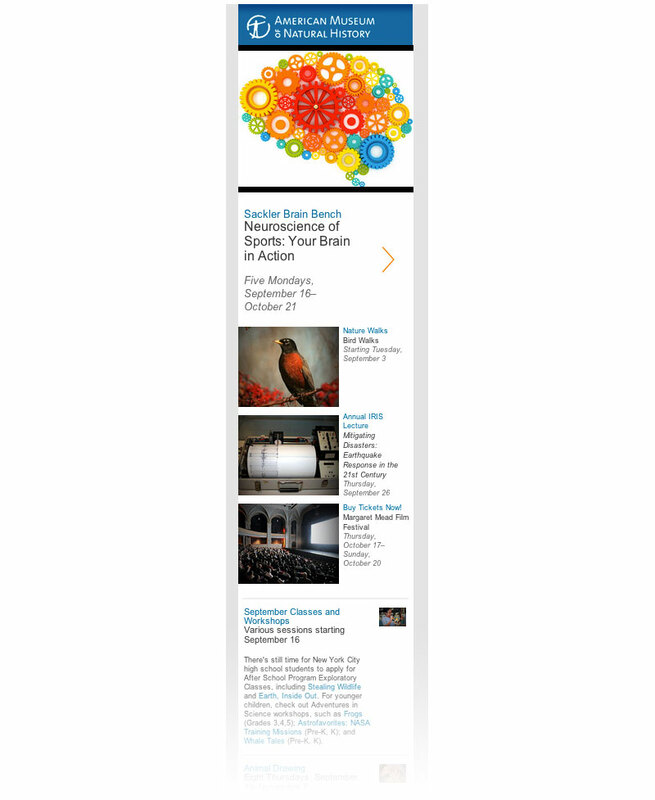 Careful attention was paid to ensuring each template was responsive to mobile devices, and were flexible enough to accommodate varying amounts of dynamically updating content. 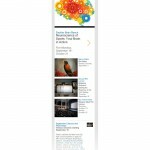 Several versions of each template were created to present specific content to various user segments. 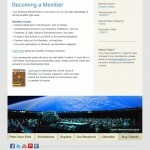 These included member-based templates, educational newsletters and transactional messages. 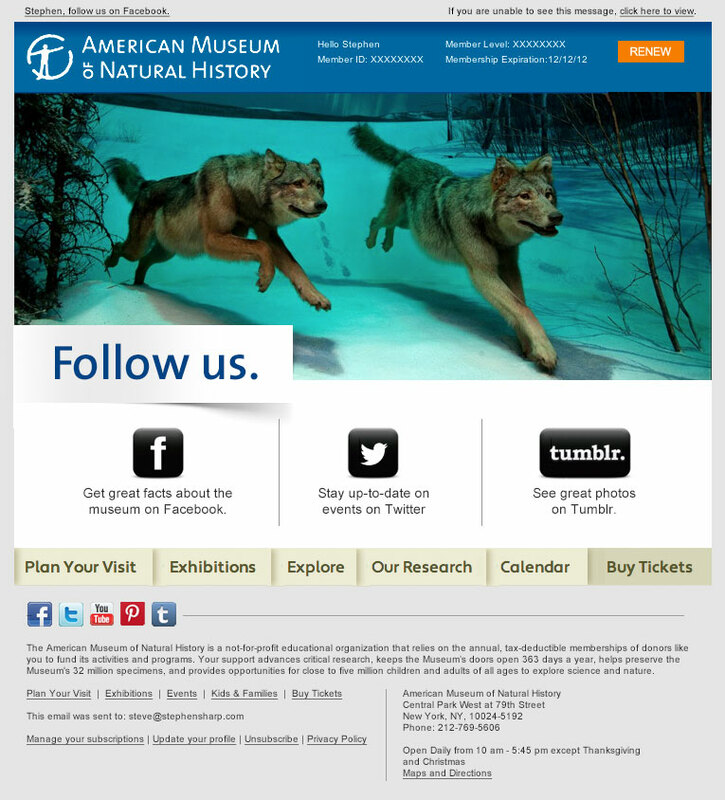 Each email design template is easy to use and update, which allowed the American Museum of Natural History email team to quickly integrated into their marketing mix. 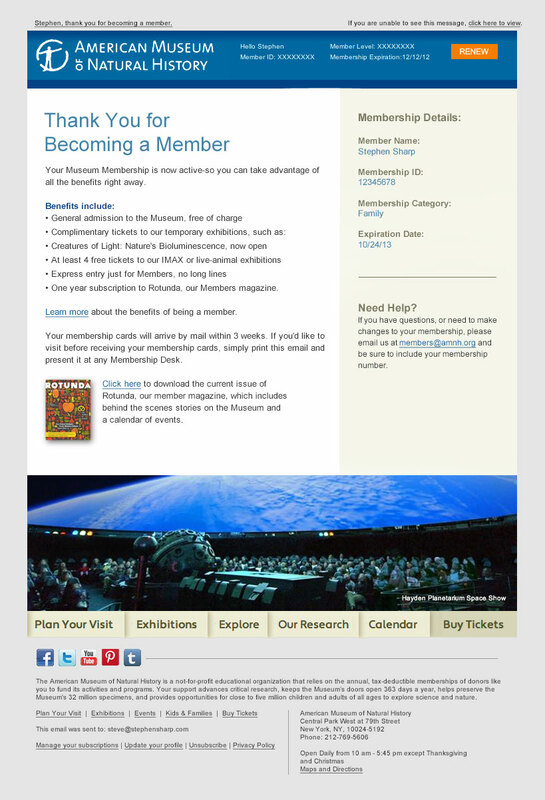 The American Museum of Natural History email design series is one I’m very proud of, not only because the client was happy, but also because it’s a great place to visit and learn!